Invisalign Teen is a specialized orthodontic treatment for aligning your teen’s teeth without the issues that come with traditional metal braces. 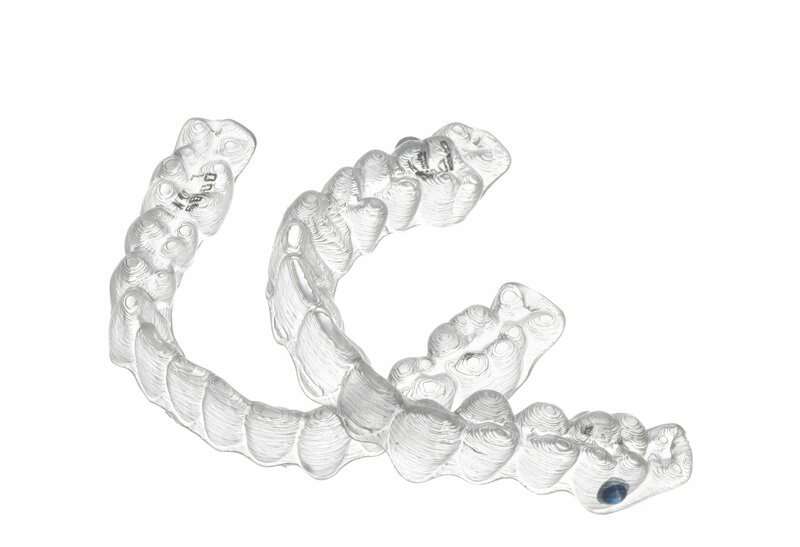 Invisalign uses a series of removable clear aligners that are custom-made for your teen’s teeth. No wires or brackets are used in the treatment process. Your teen simply has to wear these aligners over their teeth and change them biweekly for a new set of aligners. Slowly and gradually, your teen’s teeth start shifting into the proper alignment providing him/her with the look that you and your teen desire. A question that often comes to mind is whether or not the Invisalign teen treatment is as effective as traditional metal braces. If your teen is an Invisalign candidate, then the answer is yes. Please ask your orthodontist. When Invisalign aligners are worn according to the guidelines of an Invisalign-trained orthodontist, they can be as effective as traditional braces. The Invisalign aligners are removable, so your teen can play games and go on adventure trips without worrying about being hit in the mouth by a ball or in any other way (which may cause a lot of damage with braces). Your teen can also continue playing musical instruments effectively without metal braces getting in the way. With removable Invisalign aligners, your teen can enjoy any delicacy in the world without the dietary restrictions of braces. Since the trays can be removed easily at any time of the day, brushing and flossing for your teen will be easy and maintenance of good oral hygiene is ensured. With Invisalign Teen, it is almost impossible to tell that your teen is undergoing treatment for their teeth due to the transparent nature of these specialised aligners. Thus, your teen can smile with confidence in front of everyone after and even during the Invisalign treatment. For the most effective results with Invisalign Teen, you should make sure that your teen wears them for 22 hours per day. To track the teen’s compliance, each Invisalign Teen has an in-built assurance check; blue indicators that fad over time only when these are used as directed. You may worry that your teen will misbehave and the aligners get lost or damaged by him/her. Here is the advantage that Invisalign Teen offers: six replacement aligners absolutely free! If an aligner is lost, you have to make sure that you inform your orthodontist immediately. A replacement aligner can be ordered free of charge! Bring back the smile to your teen’s face, and make him/her confident in social gatherings by taking the decision to opt for Invisalign Teen.